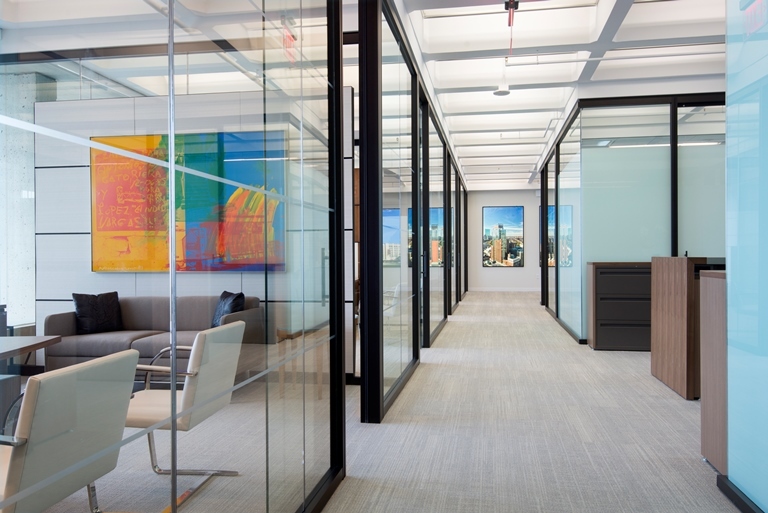 One of Boston’s Landmark Developers has a Newly Designed Office Space! 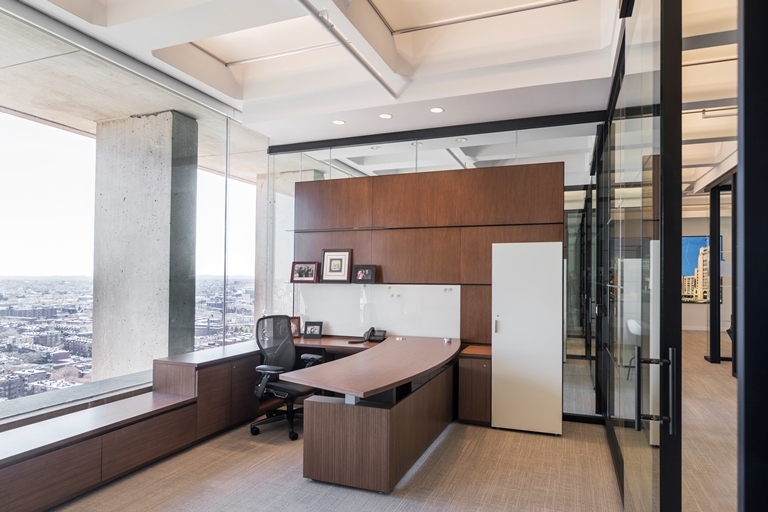 A leading Boston Landmark Developer asked VC to help them create a dynamic office space for their recent move to the 24th floor at 177 Huntington Ave. The new office space has a custom curved millwork wall provides privacy for the open area workstations; with selected areas replaced by glass panels helping flood the space with natural light. A blue, glass-branding wall is seen right when you enter the office to emphasize the developer’s brand. Custom graphic light boxes, made to showcase the firm’s developments, are displayed throughout the office creating different focal points. 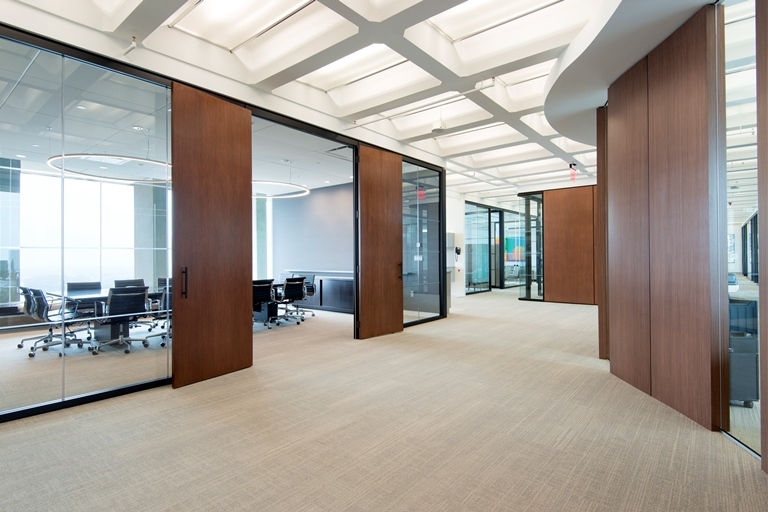 With the 24th floor having the tallest ceilings in the building; adding full height glass office fronts and side walls helps to capture the exceptional views of Boston’s urban landscape. This Landmark Developer now has their own space that truly represents who they are in the same way they represent their clients, by having a creative space that helps them feel engaged with their surroundings and the excitement of new possibilities to come. http://vca-arch.com/wp-content/uploads/2016/07/16-117-179.jpg 513 768 Joanna Frechette http://vca-arch.com/wp-content/uploads/2016/07/VC-logo-icon-web.png Joanna Frechette2016-07-13 14:31:282017-02-03 21:40:40One of Boston’s Landmark Developers has a Newly Designed Office Space!